Phrase Maze is an absorbing puzzle game to actively learn any kinds of words, phrases or sentences! It can play text-to-speech audio for all items when found, or as a hint. 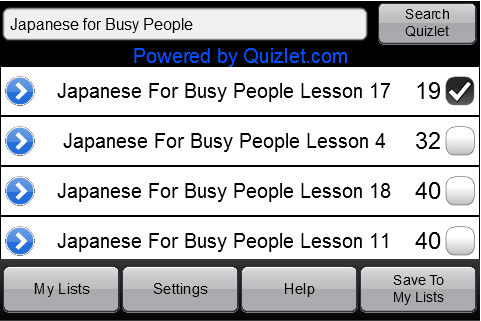 Images can also be imported in Quizlet sets as cues. Put single kanji, hiragana or katakana (or romaji) on each tile. 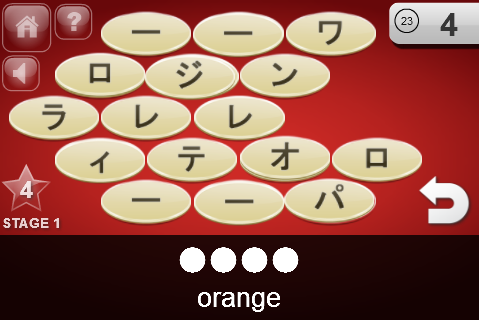 Put whole target words on a tile (up to 4 characters works best for clarity with Japanese). Study phrases by splitting the phrase across tiles. (N.B. in the original Quizlet data there needs to be a space between each 'chunk'. After each game, items from that game will also be shown to help you review. Colored star progress ratings for each item are shown. Touch to play TTS audio. 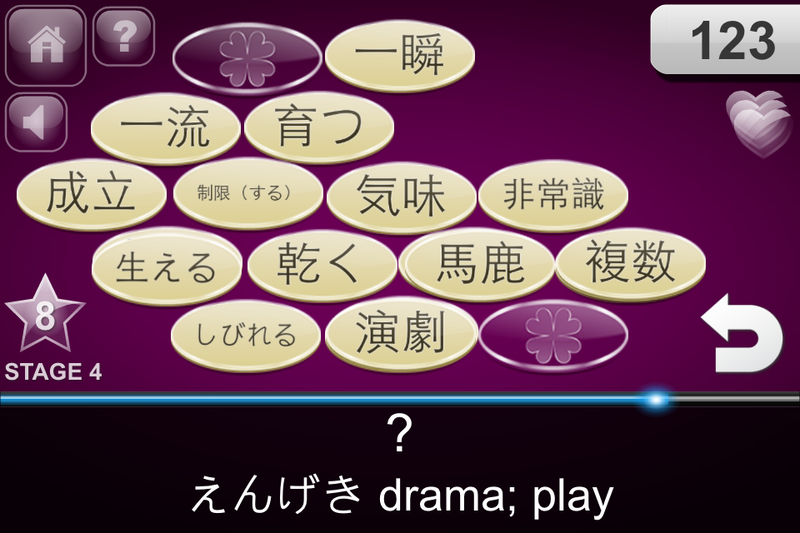 Use whole phrases or sentences in Japanese, or your own language! 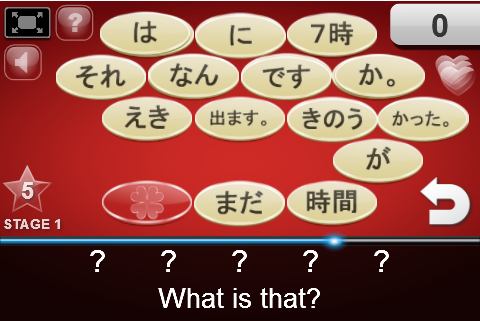 When using Japanese as the cue, you can have it played as audio to get listening comprehension practice. Save different imported lists and track your progress with them. 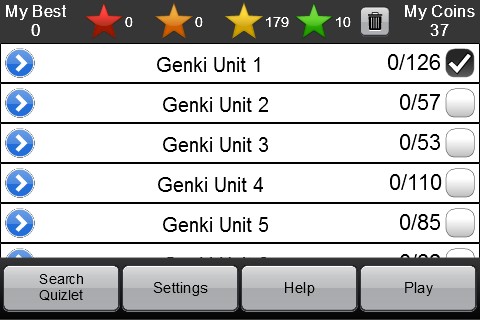 All imported flashcard items can be previewed as a list, and word ratings manually adjusted or reset. Lots of common textbook lists have already been made on Quizlet - if you can't find yours, it is easy to make your own!